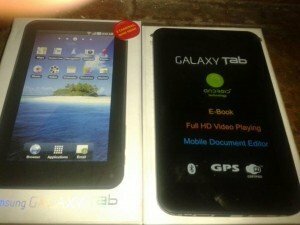 This tutorial will teach you how to reset Android on Samsung Galaxy Tab first edition with two different ways. By resetting Android on your Samsung Galaxy Tab you will return it into factory default state. Our first reset Android method may be used to restore settings if you have a working Galaxy Tab. It is the easiest method, but demands access to Android’s settings menu. If your Samsung Galaxy Tab is not responding due to a forgotten pattern locking password, the second method will reset Android on your Samsung Galaxy Tab from a hidden recovery menu. Finally you can check the “Format removable card ” option if available, this will also erase your data on the external microSD Card. After a few minutes you will have a whole new Samsung Galaxy Tab! If you have not managed to reset Android on Samsung Galaxy Tab with the two ways that we show here, we can help you in the comments section. 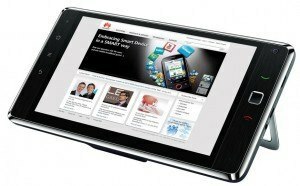 The following tutorial will explain you how to reset Android on your Huawei Ideos S7 tablet. You should learn the basics of maintaining this Android tablet; One of such tasks, although a bit extreme, is being able to reset Android. The first method is performed right from inside the settings menu of the Android operating system itself, hence you need a still functioning Huawei Ideos S7. The second reset Android method will be a bit more complex: We will assume you have no access into your Android OS, as if for example you got a pattern lock in effect and you do not know or have forgotten the password. In this second reset Android method we will access a hidden emergency menu, enabling us to factory default your Huawei Ideos S7 tablet from there, by only pressing a buttons sequence on startup. In any case, consider please that performing a Reset Android in the Huawei Ideos S7 will erase all your personal data. Hence, if you have something to back up and still got access into your Android OS, you should make a backup first. Enter the settings menu, then select SD card & phone storage , tap Factory data reset, reset phone and finally click delete all, wait a few minutes and your Huawei Ideos S7 will restart as a new tablet. Press together the POWER and VOLUME DOWN buttons, hold them down until you see the Ideos logo. Hopefully you’ve managed to reset Android on your Huawei Ideos S7 and got a renewed tablet on your hands. 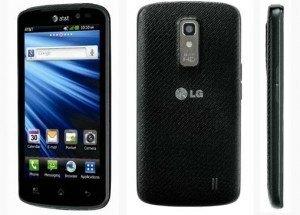 We can reset Android in two different ways on the LG Nitro HD, an Android mobile phone at first exclusive to AT&T but later released for everyone. If for some reason you can not remember the lock pattern on your LG Nitro HD and thus cannot use it, then you will need the second reset Android method. If you still have full access into the applications menu on your LG Nitro HD, then you can use the first method in order to successfully reset Android. Both methods will return your LG Nitro HD into it’s original factory state, eliminating all your personal data, apps, messages and contacts. This is ideal if you want to give it away or sell it. Before continuin, please verify that your LG Nitro HD is charged up to at least 50%, in order to avoid blackouts in the middle of the reset Android process. The reset Android process will start and after a few seconds you will land again in the alternative menu: You just press the power button to restart your LG Nitro HD, you’re done.